June has been the most amazing month of my entire life! My gorgeous wife Maria Elena Lee just gave birth (at home) to our beautiful daughter Lily Kathryn Lee on Wednesday June 9, 2010 at 4:58 pm. Here’s a picture of my gals literally seconds after Lily’s arrival. First of all, take a moment to notice how gorgeous Maria looks… okay, that’s enough. 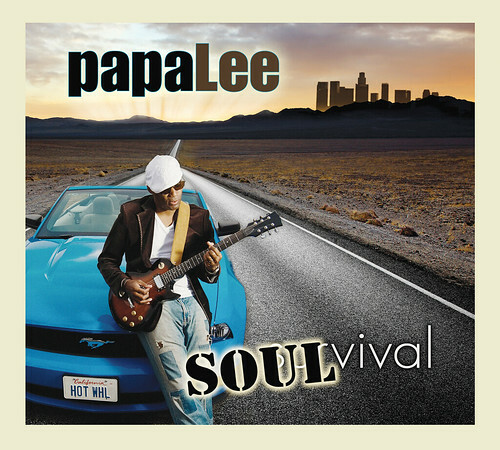 Also, this week my debut album SOULvival is released on digital outlets worldwide, and on my website at www.papaleemusic.com. Both are getting INCREDIBLE reviews! Please don’t keep it a secret, post a link to it on your blog or facebook page, and let’s get this thing rollin! Lily’s got a lot of growing to do, and I think we gotta put her through school and stuff like that. So she’s SERIOUSLY counting on us ALL to make it happen. More pictures and updates to come. PapaLee - Hey that’s me! Here’s a video clip of me performing on the Lowrider Live Show on KYHY 92.5 with Vato Loco and Robert Zapata. I sang a little piece of “Lovin’ Man” from SOULvival. Enjoy. 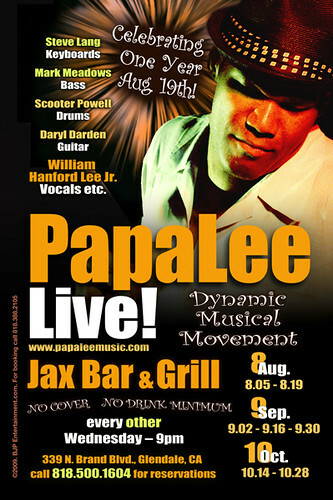 Tonight August 19th, PapaLee will be celebrating our one year anniversary next week at Jax Bar And Grill in Glendale. 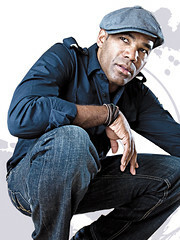 Come out and party with us as the dynamic musical movement continues. The band consists of Steve Lang on the keys, Mark Meadows on bass, Scooter Powell on drums, Daryl Darden on guitar and yours truly, William Hanford Lee on the m.i.c. The band will continue putting down the usual r&b, funk, jazz, soul and rock & roll from 9pm – 1am every other Wednesday night. 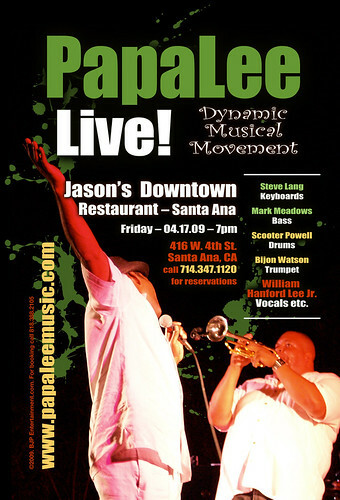 To book PapaLee for your club or event, call 818.388.2105.